A local charter school bus driver was arrested last week for allegedly sexually abusing at least three children he drove to school. Jose Luis Garza, 59, of Mission, was arraigned Monday on one count of sexually abusing a child under 14. He was previously arraigned May 11 on two counts of the same charge, a first degree felony carrying a sentence of up to life in prison if convicted. 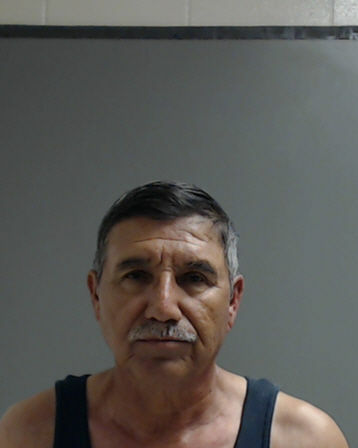 His bond has been set at a combined $320,000 and he remains in the custody of Hidalgo County jail. Garza was employed at IDEA North Mission and was terminated on April 23, according to IDEA Public Schools. His termination came three days after the Hidalgo County Sheriff’s Office met with “a complainant” who said “several students made an outcry against their bus driver … of touching them while riding on the school bus,” according to the criminal complaints tied to charges. In one case, Garza is accused of sexually assaulting an 8-year-old girl with his fingers at least twice between January 2017 and May of this year. In two other cases, he is accused of doing the same to an 8-year-old girl between February and May of this year and with a 5-year-old girl from August 2017 to this month. More charges may be pending, as a criminal complaint noted that there were six alleged victims ranging in age from 5 to 9 years old. Garza’s attorney, Sergio J. Sanchez, did not return a call requesting comment. The sheriff’s office, which arrested Garza on these charges, said it would issue a news release Tuesday with more information on the case. This story was updated to clarify that Jose Luis Garza was an employee at IDEA North Mission and that he was terminated on April 23. Garza’s attorney is Sergio J. Sanchez.